If you want to make use of the high-end video modes in the GoPRO HERO4 Black and Silver cameras you'll need a fast memory card. So what are the best memory cards for the GoPro HERO4 Silver and GoPro HERO4 Black? Here are some practical recommendations. If you've just picked up a GoPro HERO4 Silver or Black, you're going to find out pretty quickly that GoPros don't come with a memory card as standard. Some retailers put together bundles that include a memory card with the camera, but unless you buy one of those you'll most likely have to pick up an SD card separately. Sounds simple enough, right? But there's a catch. Not every card will work well in the GoPro HERO4 Black and Silver editions. When these cameras were originally released, there were relatively few memory cards that worked well. Since then, memory card manufacturers have been coming out with newer and faster cards. So it's now quite easy to find a good SD card for them, and you don't have to pay and arm and a leg for it. That still doesn't mean you can just throw any old microSD card in the HERO4 Silver or Black, though. The biggest issue is the speed of the card. And, more specifically, the write speed of the card. That's how quickly the card can record the stream of data that's being thrown at it as the camera films video. The GoPro HERO4 Black and Silver editions can both shoot 4K and high-framerate video. Those video modes use high bitrates of up to 60 megabits per second (In the Silver, it's a maxium of 45 megabits per second). So to be able to use the full range of video modes on these cameras you'll need a card that can keep up. If you use a card that's too slow, the most common thing you'll run into is the video recording stopping unexpectedly. That's usually because the card simply can't handle the data that's being thrown at it. If that happens, you can get some unexpected and unwanted behavior, such as the recording stopping unexpectedly, the camera overheating, or the camera shutting down. So I've put together some practical recommendations on which SD cards work best in the HERO4 Black and Silver. I'm focusing here on cards that are fast enough for these cameras, readily available at major retailers, reliable, and cost-effective. I make a point to speed test as many models of microSD cards as I can get hold of, including all of the ones here. So I've had the chance to try these out myself in addition to consulting GoPro's official recommendations. If you just want to cut to the chase, here are some quick recommendations for the best SD cards to use in GoPro HERO4 Black and HERO4 Silver. These are fast and reliable, cost-effective, and readily available. Any of these make a good choice. If you'd like more detailed recommendations or other brands and models, you can find them below. This is not designed to be a comprehensive list of every card that works with the GoPro HERO4 Black and Silver models, and there are plenty of others that will work well that aren't listed here. There are also other fast cards that simply aren't easy to find or aren't cost-effective when you do. I'm most interested in ones that are readily available and reasonably priced. What I'm trying to do is present some options so you can choose a card and be confident that it's compatible. This list is a combination of GoPro's official recommendations and my own real-world testing in the cameras, not on card manufacturers' speed claims or the microSD benchmark testing I conduct separately (although it won't come as a surprise that the ones that top my list of fastest microSD cards work well in these cameras). What Size, Format, and Rating of SD Card Works Best in the HERO4 Black and Silver? Both the Silver and Black models are fully compatible with both the microSDXC and microSDHC specifications (more on that below). This isn't a performance rating. It refers to the formatting system used on the card. and I've been using 32GB, 64GB, 128GB, and 200GB cards in them. There are also some 256GB cards available now, but I haven't yet tested any of those. You want either UHS-I or UHS-II host specifications. This is marked with either a small I or II on the card. The cameras use the UHS-I host specification, so you won't get added benefits if you put a UHS-II card in them, but it will still work but will roll back to UHS-I. So why do you need a fast memory card in these models? Both of these cameras can create ultra-high definition video. The flagship Black edition is capable of up to 4K at 30fps and 2.7K at 60fps and 1080p at 120fps (you can find more details here). Even Silver edition can capture 4K video at 15fps, 1080p footage at 60fps, and 720p footage at 120fps. That's going to make for some incredible video footage when you get to filming. But if you try to use a memory card that's not fast enough, you're going to run into trouble. If you find that your video is stopping prematurely or that the camera is freezing while you're trying to record video, the first thing to check is that your memory card is fast enough. (If it's just breaking up the video file into smaller segments but keeps recording, that's normal. Here's an explanation of why.) You won't see any error message that tells you what the problem is--it tends to just stop recording and lock up. The GoPros' high-resolution video modes require a lot of data to get written very quickly to the memory card. And not all memory cards are equal. You can't just put any Class 10 microSD card in the new GoPros and expect it to work flawlessly. If the card is too slow, you'll find that the camera stops recording as the memory card just can't keep up. The newer cards use a newer transfer technology known as UHS-I that allows for speeds that far exceed the older Class 10 technology. Aside from reliability--which is a big issue in itself--memory cards vary widely in their speed. The key is the write speed--or, technically, sustained write speed--which is how fast the camera can write to the memory card. All of the cards that GoPro recommends with the new high-resolution video modes on the new GoPro HERO4 Black and Silver editions are rated for writes speeds of 40MB/s or faster. Card manufacturers don't make it easy in other ways. They often advertise "transfer speed" or "read speed." Neither of those is the same thing as "write speed." When memory card manufacturers put the speed on their advertising, it's usually the read speed (ie. the maximum speed you can get data off the card). It's often a higher number and sounds more impressive. But for our purposes, we need to know who quickly we can get data onto the card--that is, write speed. The speed at which data can be written also depends also on the file sizes of the data you're writing. The speed ratings provided by manufacturers are sequential write speed. They don't typically divulge for a different kind of writing: large-block random data. That figure is typically significantly slower than the sequential write speed, and it explains why, when the GoPro HERO4 Black maxes out at 60Mb/s (7.5MB/s) and the Silver at 45Mb/s (5.625MB/s), you need a card with a speed rating that's much higher than 7.5MB/s or 5.6MB/s (ie. they're measuring two different kinds of data writing). The Silver edition doesn't have the top-end video modes of the Black; its maximum data stream is 45 Mbps. So technically it can handle a memory card that's a little slower than the requirements of the Black. Note that these data rates are in megabits per second (Mbps or Mb/s), whereas memory card speed ratings are typically measured in megabytes per second (MBps or MB/s). There are 8 megabits to one megabyte. But it's not as simple as doing the conversion and then comparing that to the card speed because the card speeds are maximum speeds for writing small files of sequential data. Writing large files of random data is usually much slower. But this chart will give you ideas on which video modes to try if your memory card is struggling to keep up. Here are some quick answers for some of the common questions I get about the SD card for these models. Is it Normal for the Card and Camera to Get Hot? All of the cards I've tried get hot, along with the rest of the camera, when recording the top-end video modes that write at 60 Mbps on the Black (making anti-fog inserts a good idea in cold, wet, or humid shooting conditions). Should I Get the SDHC or SDXC Versions? SDHC and SDXC aren't really direct versions. SDHC applies to cards that are between 4GB and 32GB. They use a filesystem known as FAT32. SDXC applies to cards 64GB and larger; they use a filesystem known as exFAT. You won't find a 64GB card that's SDHC or a 32GB card that's SDXC. Both the HERO4 Black and Silver cameras work with both SDHC and SDXC cards. The short version is that any size will work. In terms of convenience, 32GB or larger make the most sense so that you're not constantly filling it up. In terms of a good mix of convenience, price, and availability, cards in the 64GB to 128GB range probably make the most sense right now. Do 128GB and 256GB Cards Work in the GoPro HERO4 Black and Silver? Yes. Or, more precisely, some do. So long as it meets the other speed requirements outlined on this page, it should work just fine. There are some cards, like those in SanDisk's Ultra range, that don't work as well. But cards like the Lexar Professional 1000x 128GB SDXC card and I've not had any issues using ones in SanDisk's Extreme, Extreme Plus, and Extreme Pro lines. If you're going with SanDisk, I don't recommend their "Ultra" or "Ultra Plus" range of cards for any of the recent GoPros. Despite being Class 10, many users have reported issues with the recording stopping prematurely (a problem I ran into myself). The faster cards in the Extreme range are not much more expensive and work much better. Buy from a reputable retailer. There are a lot of counterfeit memory cards out there being peddled by less-reputable dealers. There are also other brands that make very good memory cards, and they might work well in the GoPros. But GoPro doesn't include them on their recommended list. If you go with another brand, there are some things to look for. Pay careful attention to the write speed of the card, not the misleading read speeds that are often used in advertising. If you've never heard of the brand and can't find good reviews of it online, it's probably a good idea to go with another that you do know. Some brands that have good reputations include PNY, Transcend, Samsung, Delkin, Sony, and Kingston. Not all cards from all of those manufacturers work well with the new GoPros--some are too slow, for example--but I have a separate roundup of the fastest microSD cards. You can find GoPro's official list of microSD card recommendations here. 60 Mb/s it's only 7,5 MB/s so i guess many memory cards can handle it just don't buy noname china and the cheapest one with not stable speed. Hello David, I’ve recently bought a 256gb Samsung EVO plus SDXC card (model code MB-MC256GA/APC) and been informed it might not work in my GoPro hero 4 silver even tho it has a read speed of up to 100MB/s, I wanted to get your opinion before I open it. Any advice would be great? While I've not tested the 256GB version of that card specifically, I have tested other sizes in the MB-MC model range and found them to have a write speed that's plenty fast enough even for the newer GoPro models like the HERO6 Black. The card you have should have the U3 rating on it, which provides extra assurance. So you should be good to go. This Sandisk extreme pro SDSQXXG-128G-GN6MA. It's not on the list. But do you think it Will work on the gopro Hero black 4 recording 4K? Yes, that model is plenty fast enough. 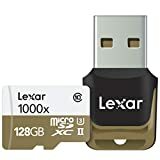 compared to the Lexar 1000x you have on the list? All the cards in Lexar's 1000x range are fast enough for the HERO4 Black. Have you thought about updating all of this since the gopro 4 silver has 4 and 2k recording now?. Just asking since you put a lot of work into this site. thats a very interesting threat! Thanks for the effort. The last four digits are not the same as the recommended cards, I am buying in Australia so maybe thats why its different? Yes, that card will work well. With the SanDisk cards the last 4 characters are purely marketing codes for geographical regions. In this case, the Q46A is specific to Australia. The most important part is the first section of code (SDSDQXL). Will this Samsung memory card work with the Hero 4 Black and Hero 5? Yes, it's easily fast enough. Will be posting the results of my speed tests of it shortly. No, I'm afraid I haven't. I just bought a GoPro Hero 4 Silver. Would a Lexar 64 GB with part number LSDMI64GBB1EU633R work? I'm assuming it's European manufactured; is there issue with using this for my camera (I live in the US). It's the version marketed to Europe and is otherwise exactly the same card, so it should work just fine. Anyway, I found another SanDisk micro sd card but with an extra "V30" written on it. SanDisk Extreme microSDXC UHS-I(V30) 64GB, I think is the product version. What does this mean? And does it perform better than the one without the "V30"? That's a new rating, and only a few manufacturers have started adding it to the packaging so far. It's a aimed at speed ratings for video recording. Basically, the V30 will work just fine and indicates it's new packaging. I have more about it here. Hi! I have an issue with my GoPro Hero 4 black over heating. Even at 1080p/60 fps. I bought two memory card of the same brand/model: LEXAR 64GB microSDXC UHS-I w Reader Class 10 (LSDMI64GBBEU633R). I have the same issue with both of them. The camera shuts down due to over heating (I see the over heating icon in the display) from 1 hour to about 1 hour 15 minutes. It doesn´t matter if I use a case or not and I don´t have wifi or protune turned on. I record indoors away from the sun. The interresting thing is that this is my third Hero 4 black camera and they are all experiencing the same thing. Also tried different batterys (all go pro ones). The only thing I have not changed are the memory cards. Could this issue be due to the memory cards? I don´t feel like buying another memory card just to try it out since I hardly ever use my gopro (just on vacations). I forgot to mention that I´m able to record at 4k 30 fps at about 30-40 minutes before over heating. The memory cards should be fast enough if they can write at that speeds. Since you've already tried different cameras, it does sound like a memory card issue. It might be fast enough, as you point out, but perhaps there's some other fault or issue that's generating too much heat in the process of writing the data to the card. You certainly shouldn't be seeing that issue at 1080p60. I've just tested a slightly different model number of the 64GB Lexar 633x--LSDMI64GBBEU633R—again just now with 1080p60 + Protune, and its working fine for me and not getting unusually hot after recording nonstop for a couple of hours. It sounds like the next step is to try a different card, perhaps one from a different manufacturer (and from a reputable retailer, of course, to rule out the risk of a counterfeit card that doesn't perform as expected). A cost-effective and widely available option that's a very safe bet would be something like the SanDisk Extreme. Thanks for your reply. I tried my camera with a sandisk ultra that a colleague to me uses without issues with overheating on his Hero3+ and his Hero4. He records in 1080p50. It over heated my camera at 1080p60. I know the card isn´t on gopros list of supported cards though. But since he doesnt have issues it should work on my camera I recon. However GoPro will, once again, send me another Hero4 black camera. Hopefully it will work this time around. I just don´t want to spend additional money on new memory cards. But I guess I have to if this one also over heats. Hi again. I ordered a SanDisk Extreme Plus 64 GB card since this is widely used and I also checked with GoPro before ordering. I tried it out and at 1080p60fps the camera died from over heating after 60 minutes if I use the waterproof case. If I don´t use the case it still gets very hot but it manage to run the battery dry before over heating (approximately 1 hour 15 min if I remember correctly). This is just like with the Lexar memory cards I already had. So I´ve tried with different cameras, different batteries and different memory cards and still over heating. I was wondering what options are best for 128gb cards for GoPro Hero 4 silver? And do you have any recommended devices which you can transfer the data to a hard drive with out needing a laptop or computer? I use both the Lexar 633x and 1000x 128GB cards in both the HERO4 Silver and Black and have never run into any issues. There's also a new 1800x card out that should also work just as well—I'll be testing it shortly—but it's a bit more expensive and you won't get any performance gain in the camera with the extra speed. Perhaps the simplest way to download without a computer is the Western Digital MyPassport Wireless. It's basically a hard drive with a built-in SD memory card slot and some other features. I have a detailed review of it here. It doesn't take microSD directly, but you can use an SD cartridge adapter. There are several other devices that do similar things, but they might be overkill if you don't use other types of memory cards. There's also a new device that's designed to also help with editing without a computer, the Gnarbox. I'm looking forward to trying it, but it's not available just yet. Awesome, I'm happy you said those cards, as I got one of each. I'll look into those devices. I'm looking at the western my passport wireless hard drive you advised me about. When using micro SD cards, I have the UBS reader that Lexar provides with the hard drive copy straight from that? Or will I need to get a micro SD card adapter to do the copying from a memory card. If been trying to find articles to check but haven't had any luck as yet. 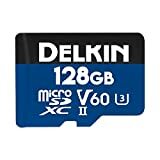 I have also been trying to find an appropriate SD adapter for micro SD cards 128gb, can you use any old adapter or do you need to be specific? It depends which Lexar card you bought. Some of their high-end cards include both a USB thumbdrive reader as well as a microSD to SD adapter. Others include one or the other. What you want is a microSD to SD adapter cartridge. It's the most common type included with microSD cards. It is possible to buy basic ones separately, but the ones included with the microSD cards are typically better and more likely to take advantage of the speed classes of the card. If you're using a UHS-I microSD card, as the vast majority of them are now, you'll want a UHS-I adapter, and a cost-effective way to get one as well as get an extra memory card is to something like this SanDisk Extreme card or something similar. Hi David, I notice that you have PNY Turbo Performance Micro SD HC I on the list. If I want to purchase a PNY Turbo Performance Micro SD XC I for a Go Pro Hero4 Silver, would it work? Thank you. Should be no problem. SDHC and SDXC refer to specs that, in practical terms, is really the difference between cards of 32GB below and those that are 64GB and larger. So long as the other specs are the same there should be no discernible difference in performance. Yes, that card will work well in both. Hello David, I have found one PNY micro sd xc I class 10 (and the small 1 in the corner-not sure what it means), 64gb, up to 60 MB/s, and on the box it says Prime Performance (cannot see clear what is written on the card because the letters of the pic are not clear-i assume it is the same). But it is not Turbo or Hyper like the ones you suggest. Will it work on the Silver GoPro? Or would the SanDisc Extreme 64 gb work better? While I can't say definitively without actually trying it, from your description it might be fine but it sounds like there's a risk of it being too slow. Since the recommended ones are readily available and cost-effective, I'd recommend sticking to one of those. Just purchased a GoPro Hero 4 Silver and a SanDisk 128GB Ultra Plus microSDXC UHS-1 with speeds up to 80MB/s. I was wondering if that card was compatible with the camera, I don't want to use it and not run into any trouble by damaging my it. I've also reasearched some reviews on other types of SanDisk SD cards and I'm having trouble finding differences between their models besides the space. Not sure which is best for my camera, any help would be greatly appreciated since I am very new to the photography field. You won't damage it, so no problem there. If you run into trouble it will simply stop recording. The 80MB/s is the read speed. They don't publish the write speed of that card, which is the crucial one when recording HD video, but it's significantly slower than 80MB/s. I'm in the process of doing an extensive round of tests with a bunch of different cards and will be posting that soon, but you can test that specific one by using the 4K video settings with Protune on and letting it record. If it stops or you get breaks in the recording it's not fast enough. I got a Gopro Hero (one of the cheaper ones). and I was wondering what class Micro SD you need. What is the minimum write speed. and what cards would work well with it. Also, would the "DANE 32GB CL10 MicroSD - Black (DA2IN1C132G)"
This post should help. I've never tried a Dane card. Hi, I currently have a SanDisk Ultra 32gb Micro SD HC I class 10. I was using this in my hero 3 without any problems. since i got the hero4 silver my videos are very choppy when trying to play them back on the computer. I am recording in the same frame rate i used with the 3, could the SD card be causing this playback issue. Thank you! I am a photo-a-holic so I would definitely need more than 64gb on my sd card (Otherwise I will have to carry 2 cards with me). Have you continued to use the 128gb card beyond the 64 gb threshold? I am probably asking a silly question, but I thought I should double check before purchasing the 128gb sd. Thanks so much for all your information and taking the time to answer everyones questions. No, it doesn't stop at 64GB--it uses the full card. Sir David, im trying to buy a new SD Card for my GoPro Hero 4 Silver because my old SD Card SanDisk Ultra 16GB is really not working for my camera. My camera always appear SD Error. Please help me what kind of SD Card i must buy for my GoPro Hero 4 Silver? Can I go with SanDisk Extreme Plus 16GB? Thankyou sir. The Extreme Plus will work well, as will the others listed above. Hi, I just got my Gopro hero 4 silver and i want to get a SD card I’m currently using a PNY U3 High Performance 64GB High Speed MicroSDXC Class 10 UHS-I, up to 60MB/sec Flash Memory Card (P-SDUX64U360G-GE) in my cellphone i see that it’s on the list recomended but will my gopro be able to use the 128 GB model The - PNY 128GB High Speed MicroSDXC Memory Card (P-SDUX128U160G-GE) as mention in most of the comments and in the list of reconditions this is one of the less expensive brands but as i mention i use this brand in a lot of devices? I haven't tried that specific card, and the two cards are not directly the same other than size (the first is U3 and the latter is U1). PNY doesn't publish a write speed spec for it, but I suspect it might be a bit slow for the upper end video modes. But, as I say, I haven't personally tried it. Hi, thank you very much. This was the first (and possibly the only one sensible article of micro cards used in GoPro Hero4 Black. David, am I safe with this card (SDSDXSF-32G-ANCIN) on a GoPro Hero4? I see that san disk has a 200gb card out and I would like to know if my go pro silver that was purchased for Christmas can handle that size card. I haven't tried it and Sandisk hasn't published a rated write speed for it beyond the Class 10/UHS-I categories. That means it is rated for a minimum of 10MB/s writing and is designed to work with "full HD video". But it doesn't mean it works with 4K or high-fps HD. I'd be concerned with the risk that it's too slow for the upper-end video modes, but I haven't personally confirmed that with testing. Will the Transcend Ultimate 633x 64GB work with GoPro Hero4 Silver? Only the 32GB version is mentioned above and wanted to clear it up. I have the mentioned 64GB Card and it freezes and starts to overheat. I don't recommend buying one. Stick to the ones that are mentioned. Does this SANDISK ULTRA® micro SDHC™/micro SDXC™ UHS-I CARD 200gb work in GOPRO hero 4 silver? Or has anyone tested Samsung 128gb card? Hi, I bought a GoPro Hero 4 Silver, everything was working fine on there. I was using PNY SDXC 64GB sd card, that curry's told me would work fine in it and it did for the few times I used it. I was out one day, I took a photo and my GoPro powered off and wouldn't come back on! I came home and put it on charge, it came on, however now it's telling me I have a SD Error. I've followed all the online advice and tried formatting it etc. Do you have any idea what it could be? What do the last 5 "digits" (eg.CN6MA) tell about the SD card? It seems like there are so many versions! Your advice/opinion would be greatly appreciated!! Yes, that card is plenty fast enough. With Sandisk, the last 5 digits are marketing codes and do not indicate any actual difference in the card (I've confirmed this directly with SanDisk). They key part is the first part (SDSQXSG). The second part (064G) refers to the storage capacity. The third part is a marketing code. In this example, the CN6MA is referring to the product code designated for SanDisk marketing in Canada. You can find the various international codes here. Scroll down to Specifications and then hit the Product Numbers tab just to its right. But retailers often don't take any notice of them, and you can find cards with the various international marketing codes at US retailers and vice-versa. But I've been told by SanDisk that there's no actual difference in the cards. Pro as I'm not tech savvy at all. Thanks again, really appreciate it!! Just bought a Go Pro Session. Using the Samsung 64 GB PRO Micro SDXC UHS-I 90Mb/s Class 10 Card. This card just doesnt work with it. Tried to format the card etc. It just locks up the Go Pro and either Go Pro says the is no SD, or it says the card is full, or it sits in a busy state forever (well 2 hours). I put a standard 1gb Sandisk to see if it was the Go Pro, and it worked perfectly. Is the sammy the wrong card to use or is it faulty? Sounds like a faulty one. If you were trying to record at 4K, you need at least 60MB/sec write speed. Those Samsung PRO cards are only good for 50. The newer Samsung PRO+ cards are rated for a write speed up to 90MB/s. They're UHS-I U3 Class 10, and they've worked well for me in my tests. But even 50MB/s write speed cards should work fine. The writing data rate for the 4K30 setting and the other high video settings is 60 megabits per second, not megabytes per second--not the same metric. I got GoPro hero 4 Black and I am got confused what time and brand of the memorycard I am going to buy since the sandisk extreme pro 32GB worht 41USD. is it good to buy? or there is cheaper price? That card will work well, but there are other cards that will work just as well in the HERO4 Black and are less expensive. The list on this page is a good place to start. Hello, I just got my hero 4 black.. And I wanted to know if SanDisk Extreme 600x Micro SDXC UHS-I SDSQXNE-064 will work perfect when I will record 4k 30fps or 1080p 120 fps? It has worked fine for me. I am frequent to this site since I bought my GoProHero4 Silver & I have Transcend Premium 300x 64GB card. Its only now that I seem to understand a little how the write or read speed affects the quality of the pictures & videos. By the way I am not a photographer & don't have any know how or anything at all about terms use in photography but with a lot of reading I gain some insights. My question is how come when I uploaded the videos in facebook it does not come out as clear as it was in my iphone compared to other videos I saw in some of my friends using same camera but I'm not sure the card they use though. Is 45mbs too low for this because I am now plannimg to buy Lexar 633x or Sandisk Extreme Pro. Your advice is really appreciated. Thank you. The good news it's unlikely to have anything to do with the memory card. The bad news is that there are any number of other causes for it, and it might involve some trial and error to find out what's going wrong. First things first, though, make sure that when you're watching the video on Facebook you're specifying the highest quality setting for viewing that's available for that video. The Auto setting will give you a lower-quality version if it detects that you're on a slower connection. Another issue when viewing is whether you're comparing looking at it on a phone with a very sharp Retina screen and with viewing the Facebook version on a non-Retina computer display. The Retina version will look much crisper. Then it's time to look at the workflow from recording to uploading. It's worth using a recording setting of 1080p or higher. If you're uploading the original footage directly without any editing, the quality loss is almost certainly Facebook's own re-encoding of the video file. But any editing you do between recording and uploading can (but doesn't have to) affect the quality, especially when export it from your editing software, which is where reencoding takes place. Sorry I don't have a simple solution, but hopefully this gives you some ideas to look at. But if the camera is recording the video without stopping or freezing up, then it's pretty unlikely that the memory card is causing the video quality issues. Hi. I purchased a 32gb Sandisk Ultra microSDHC UHS-1 card(SDSQUNC-032G-GN6MA) a few days ago. It has a read speed of up to 80MB/s and a write speed of up to 50MB/s. Will this work well with my GoPro Hero 4 Silver? Yes, that's one of the new versions of the Ultra that are much faster than the old version. Should work fine. I guess the same goes for SanDisk MicroSDXC Ultra 64GB 80MB/s (https://www.netonnet.se/art/foto/tillbehor/minneskort-lasare/sandisk-microsdxc-ultra-64gb-80mbs-uh/223377.9029/ ;Swedish link - I'm sorry about that) that I bought for my GoPro Hero 4 Silver. Is this the newer version? Great thread by the way! Hello, thanks for your summary it's very helpful. on a gopro session and it freezes up when pushed to max bitrate. Dont go cheep on a card. Hi there! Thank you for the very informative post! Would you think the below card type can handle 4k 30 fps recording on gopro hero 4 black ? It says 80Mb/s, and on ur chart for 4k 30 fps its 60Mb/s ? So it should work with no issues? By cutting, do you mean the video is jumpy or that parts of it are missing? For jumpy playback, the capability of the computer, and even the software used to play, does matter with the higher-end video modes. If you're using a Mac, I've found Fileloupe to be good for playback of GoPro footage, but other apps like Lightroom don't do a good job of it at all. If you mean that parts of the video appear to be missing, is it that the video is being split into 4GB chunks as described here? Hi, thank you for all your info! I got SanDisk extreme 32G (new version, for action cameras) for christmas for my GoPro hero 4 silver, which you mentioned can write 40 MB/s . At first, I thought that was not enough, since the GoPro can write up to 45, but as I understand, that is in fact in Mb/s which is smaller than MB/s - in other words, 40 MB/s will be good enough? I am considering to swap it for the extreme plus version (or even the pro version), but do you know if there will be a noticeable difference when using silver edition? Thank you in advance. The EXTREME is fast enough--it should work well. You won't notice any difference in using the cards in the camera. The only place you might notice some difference--and this is only if you have a highly optimized hardware setup with your computer--is a slightly faster download speed for getting the data off the card. But it's really a minimal difference, and not something that you'd really notice in practical use. So I'd stick with the EXTREME you already have rather than go through the hassle of replacing it. Thanks in advance for your help ... and great, timely article!! I haven't tried that particular card, and it doesn't appear to be in Kingston's current range (at least, not under that model number). Based on the packaging, I'm a little suspicious that it might be the lower-end model. That's hardly definitive, but if it is the lower-end one, it'll probably be a bit slow for the Silver. Kingston does make cards that are faster, like these ones. Hi the other day I just bought a Sandisk 64g Extreme Plus U3 from BestBuy. How would you rate this memory card? I dont see it on your list here. GoPro's official list predates the release of that card, but the U1 version is on their list. The U3 is an updated version. Are both these cards compatible with the Hero 4 and is it worth paying the extra for the PLUS version? Yes, both are compatible. You won't get any meaningful improvement in performance with the Extreme Plus in the current generation of GoPros (I have no idea what the specs of the HERO5 will be, whenever that comes out). Hi David, are you familiar with the Sandisk Extreme Pro 64GB? i have looked everywhere on the internet and on youtube and can hardly find any information on these being used for gopro. i have even searched gopros own website and they dont mention it in their recommendations. SO does it work with the hero 4 black or not? its class 10 and has faster write and read speeds the extreme plus. thanks! Yes, I've used them many times without issues. I suspect the reason that they're not on the official list is simply that they were overkill at the time the cameras were released. Things have shifted a bit in the time since, but the EXTREME worked fine and was cheaper. The EXTREME Pro line is faster and, at the time, was more expensive without any performance gains in-camera. But as I said, I've used them without any issues. Your calculation is correct, but if only it was that easy. There are a few wrinkles that make it much more complicated. There are different kinds of write speeds. Writing small files sequentially results in different speeds than writing small files scattered across the memory which is different again to writing large chunks of data. There can be very big variations, but typically card manufacturers focus on the one that sounds fastest, which is usually small, sequential writing. But that doesn't mean that the camera writes in small, sequential chunks, especially for high resolution video. Another is that in real-world use the process of getting the data from the camera's processor onto the card can be very inefficient. So yes, the Extreme Pro is faster than is strictly necessary, but it's not as easy as saying its 10x faster than needed. Hi David. My local shop sells Kingston discs. Which of these would be OK for a Hero4Silver? There are two models of Kingston cards that should work well. One is the model number above, which is on GoPro's recommendation list. The other is a faster, newer one: the microSDHC UHS-I U3 90R/80W. Kingston also has some slower models--I wouldn't recommend those. The EVO cards might be a bit slow for the high-end video modes, although will likely work well for the lower video modes. The Samsung Pro and Pro+ cards work well. For updating firmware, there are a couple of different options. The GoPro site walks you through them here. Hello David, I bought a hero 4 black e found this great website to help me with some doubts! I wonder if you tested the Kingston sdca3 uhs-i u3. In theory the write speed is 80, but I don't know if it is real. Thanks! And sorry for my English! I haven't personally tried that particular card, but I have used other Kingston cards before and found them to be very good. That card should be plenty fast enough for the Black. Hi there. Is there any chance to recover a file after sd error? In many cases, yes, although it does depend on exactly what has gone wrong. I have much more on it here. Will a 64 gb Lexar 633 x class 10 U 3 work well for recording 4k video on a gopro hero 4??????????? Yes. It's in the list above. Hi there. Thanks for the great post!!! Both work well and I've got and use both. I've not run into any performance difference between them on a GoPro HERO4, and both are from well-respected manufacturers. The Samsung theoretically gives you faster download when you copy the files to your computer, but in practice that's probably not so much of a difference as to be a deciding factor. The Samsung might also give you a little more wiggle room if GoPro unleashes even higher bitrate options in future firmware updates or in future models. But on the HERO4 it really comes down to brand preference and price. Thank you for the quick answer David. And also shooting at 4k, both of the cards work fine no?! They both work fine for me even on the Black with the highest video modes. It does 4K-30 or 2.7K-60. I have a go pro 4 Silver, and After about 20 seconds of recording in 1080p I get a "SD CARD ERROR" I have the SanDisk Extreme 64 GB with 60 MB/s speed... Is it my card or the Go pro>? The card model works well with the Silver, but it's possible you might have a faulty card. To troubleshoot, I'd suggest first resetting your camera to the factory defaults (here's how. Then reformat the card in the camera and try a new recording with the video settings that were giving you trouble. If it's still misbehaving and you have access to another memory card, try it with that. If it keeps crashing with another memory card, it suggests something wrong with the camera itself, in which case it's time to get in touch with GoPro support directly. Whats better? The Extreme plus for action, or the extreme pro? What would you reccommend? Whichever you can find cheaper. Both cards meet the needs of both cameras. hi, for some reason the SanDisk Extreme PRO 64GB microSDHC/microSDXC SDSDQXP-064G-G46A is coming cheaper than the extreme SDSDQX-064G-U46A. Am i missing some thing? I know it is not listed on the goPro site but doesn't the pro also work with Hero4 Silver? Yes, The Extreme PRO works just fine in both the Silver and Black. Thanks for the correction--I've updated above. A complication arises in that some major US retailers carry both, with the SDSDQXN-064G sometimes being both more readily available and a bit cheaper. There's no indication whether that's what SanDisk is supplying them with, it's a clerical error, or they're gray market. I've never heard any reports of performance or reliability differences between them. What's the best sd card for Hero4 black?? Unfortunately, the SanDisk Extreme Plus 64gb (U3) and Samsung Pro 64gb(U1) didn't work, it keeps freezing. Help??? If you're having problems with both those cards, it sounds like it's an issue with the camera rather than the card. Both of those cards are on GoPro's own recommended list, and I've used both on the Black without issues. I'd get in touch with GoPro support directly. How about Pixtor advanced, because they have pretty reasonable prices for those too. I haven't used them, but yes, they should work well. They're on GoPro's official list. I just bought one of these and the have black grain lines when I watch the footage back. Anybody know what the problem is? I have a go pro hero 3 black and have been using a sands ultra 16gb i recently have gotten a 64gb ultra plus mostly because the 1st sd card starting acting strange with anyway i haven't opened the new one up yet because go pro told me to stick with the extreme plus or pixtor advanced what do you think about which one i should get. I would really hate to drop another $20 on the extreme advanced. The Extreme Plus is going to be a much safer bet, especially if you're using the top end video modes. The Kingston 64GB is also a very good card that's about the same price (or even a bit cheaper) than the Ultra Plus. I want to get the Sandisk Extreme SDSDQXN-032G-G46A model but it's not listed on the official gopro compatible memory cards. Will it work for the Hero4 Black? I've used it extensively on the Black without a problem. If you can find the EXTREME PLUS for a similar price, it has a slightly faster write speed and is on GoPro's list. W/c one do u think is the Best for GoPro 4 Silver? SanDisk Extreme Pro or SanDisk Extreme Plus? The Pro won't give you any meaningful advantage and is often more expensive. Either will work, but if the Plus is cheaper I'd go with that. I bought the hero4 Silver. i'm really doubting on which sd card i should by. i understood that the silver model writes up to speeds of 45mb/s. As the sandisk extreme U1 version is hardly to find here in europe i'd have to go with the U3 version. but it writes only to a max speed of 40mb/s. won't that be too slow for my silver then? otherwise if i'd go with the extreme plus U3 version it writes up to 50mb/s. won't that be too fast if i'm shooting videos till 30mb/s like the 1080p 60f/s ? Both versions of the Extreme work well. The Silver writes at up to 45 megabits per second, while the write speed rating of the card is up to 45 megabytes per second. Even then, it's not a direct correlation because there are different write speeds based on different-sized files. But the short version is, either the new or the old SanDisk Extreme works well--I have both and neither has had any problem in the Silver or even the top-end modes in the Black. So you should be able to stick to the card you have already. SANDISK EXTREME 64 GB micro SD SDXC 60MB/s 4K+ .. is it ok for gopro 4? Yes, that one will work well. Hello David!! Question, I just purchased a GoPro 4 that came with a Samsung 32gb microSDHC UHS-1 48mb/s Evo Ultra Performance with a SD adaptor (Not sure what all that means to be frank). Will this work with the GoPro?? Thanks for the help!!! Sort of. You can use most of the stills image and lower-end video modes with that card, but if you try using the top-end video modes like 4K or fast fps 1080p you'll likely have trouble. Its maximum read speed is rated at 48MB/s, but they don't publish a write speed, which is more important. But in general it's not fast enough to be recommended for the HERO4 cameras. I'd recommend picking up one of the faster cards listed above if you can. can i use my sandisk ultra 32gb class 10 for my hero4 silver? It will work for low-end video and stills image capture, but you'll likely run into trouble if you try to use it with the high-end video modes. A faster card will work much better. I bought a Lexar 64GB 300X card(LSDMI64GBSBNA300A) for my Hero 4 Silver, is that an ok card or should i go faster? i want the best quality and failed to realize this at the time of buying the card. I haven't tested that particular card. Its read speed is up to 45MB/s, but Lexar only says that its write speeds are slower without saying what they are. In general, the Lexar write speeds are much slower than the read speeds. You can try to the card with the highest video settings and see how it goes, but if you want to play it safe it might be worth picking up one of the faster cards. That's a bit slow for the high-end video modes. I'd recommend going with one of the faster cards above. My GoPro Hero4 Silver will sometimes work fine (for more than an hour) and sometimes it shows SD ERR, in less than 5 minutes (on any mode), that happens in both my cards (32GB SanDisk Extreme and 16GB SanDisk ExtremePro, both of them formatted via gopro), after getting the error message when i turn it off and on again sometimes it will only stay on the welcome screen and wont finish turning on, is there a trouble with my camera or could it be the cards, I already tryed resetting the camera. It's hard to diagnose remotely, but that doesn't sound like the kind of problem caused by cards. My suspicion is that it's a camera issue and would recommend getting in touch with GoPro tech support directly. Will a lexar 633x 95MB work well with Hero 4 or is it an overkill? It works well. The 95MB/s in their specs refers to the read speed. They don't publish the write speed. It's slower than that, but it's fast enough to work well in all video modes in the GoPro HERO4 Silver and Black editions. It's on GoPro's list of recommendations, and I've used it without any problem. I bought the Sandisk Extreme Pro microSDGC UHS-1 Card for my gopro hero4 black, is it good? I've used it without a problem on both the Black and Silver. SDSDQX-032G-A46A . The label of the pakage says it reads at 80MB and writes up to 50MB/s 333x and it is on Gopro recommended site. Still the write speed is lower than 60MB . Should i buy that model? Yes, the Extreme PLUS works well. It's on GoPro's updated officially recommended list, and for what it's worth I've used it without problems in both the Black and Silver. I got my hero 4 silver today, with a Sandisk Ultra SDXC card and the video is lagging like hell in 4K and 2.7K. Is it most likely the card who does it? Hope it is, cause i just ordered a Extreme Pro! That would be my guess. The Ultra is too slow for Silver and Black. The Extreme Pro should work nicely. While it will work for things like stills photos and the lower-end video modes, it's not fast enough for many of the higher-end video modes. does ur go pro 4 black heat up when using 4k resolutions? or is ti normal? Yes, some heating up at the top end frame rates is normal. Tried and tried to find either the lexar 633x or sandisk extreme with reasonable price but it was always too pricy or loong delivery time. After having recommendetaions and google search ended with only good reviews, I decided to buy the Samsung PRO 64Gb (MB-MG64DA). Had a really nice discount only 40€. The specs are as great as lexar or sandisk so i'm excpecting a proper card. I've now had the chance to try the Samsung Pro in both the Black and Silver, and it's working well for me in all video modes. i have just put in the sandisk extreme plus 64gb microsdxc it has a "u3" under the 64gb. im still getting issues filming on 4k. it will only record and save 11:50 each time. i have a go pro hero 4 silver. shooting at 4k 12.5 with wide angle. sorry i was shooting 4k 15fps with wide angle! Is it stopping or splitting the recording. Splitting the files up (or chaptering) is normal. It saves long videos in chunks. They can be joined seamlessly in post. If the recording is actually stopping, though, and not continuing in a new file there's an issue. It's completly stopping and not carrying on. While it's recording it would say it's recording up to whatever time you allow it to. But when you go in play back it shows only 1 clip saved up to 11:50 regardless if I've done a 20/30 min video! I've given my gopro into the retailer and they will phone gopro for a solution and possibly exchange my go pro. I just tested a brand new Sandisk Extreme Plus U3 in my Silver running 4K 15fps with Protune and didn't have any issues. It ran until the card filled up, splitting the recording into into 4GB files (11m 50s each). That was with firmware 1.02. I'll try again with the new firmware (2.0). Just tested with new firmware (2.0) and still working normally for me. 4K 15fps wide + Protune with Sandisk Extreme PLUS U3. I got a replacement and now its working fine! i must have just got given a faulty one. i have also done the update and its working 100% no problem! Glad to hear it! But just to clarify in case others run into the same issue, did you replace the camera or the card? the go pro camera itself was faulty. apparently the retailer said they've sold 1000's and this is the only one that had this issue! the memory card seems fine at the moment. will post in a few months if i get any issues. So I have a Hero 4 silver with a Sandisk 64 gb extreme plus U3 micro sd card (the newer version). However, I am having trouble with my gopro freezing. Ive reset my camera, formated the sd card every time I use it, updated the software. Still same issue... Sometimes, when the I just turned the camera on, there isnt a image, its just black with the settings displayed. Ive even tried messing with the settings when the memory card is out of the camera and it still freezes and ive only used the battery that came with the camera. Ive already called gopro and they said my memory card is too fast, which as a camera enthusiast doesnt make sense to me. I need help!!! Should I drop another $70 bucks on the older U1 card or what should I do?? If I understand correctly, it's locking up even when you're not recording? If so, it's not clear to me how that could be related to the speed of the card, let alone it being too fast. Not sure if you've got any other slower cards handy, but does it still lock up the same way when using one of them? Just got off the phone with them, said my card is "way too fast" for the gopro hero 4 silver. They believe because of this it could had caused a glitch in the cameras software so that now it freezes without sd card even in it. So going to have to buy sandisk U1 card (old version) and re update the software. I even asked if they knew if/when was going to update their cameras so that it could handle the newer version of the cards because the old version they recommend is discontinued. "I doubt they are discontinued because the manufacturer hasn't told us that they are discontinued. I havent personally heard that either." I just tested a brand new Sandisk Extreme Plus U3 in my Silver running 4K 15fps with Protune and didn’t have any issues. It ran until the card filled up, splitting the recording into into 4GB files. That was with firmware 1.02. I’ll try again with the new firmware (2.0). Its understandable that it wouldn't freeze because the extreme plus U3 was made to handle that 4k at that rate. However, I never filmed 4k at 15fps. I always filmed at 1080p and thats where i began to have issues after several uses. We want to set a GoPro4 up at a job site and set it to take pictures every 15 minutes during the day. Do you know about how many images would fit on one SD Card the 64mb and the 32mb? Take a look at this page. Those are only approximations, however, since JPG image compress differently depending on what's in the frame. But those are the numbers I've used for precisely the same purpose--long-term timelapse using GoPros on construction sites. I got the hero 4 for my birthday and just got back from our family vacation in Aruba. I took over 400 photos and some amazing videos. I used a brand new 64gb sandisk extreme plus micro sd card and now I am getting an error and cannot access the data on the Gopro, our Mac or my laptop pc. This is horrible and my family is VERY upset. We went with the recommended card and have nothing to show from our trip. I have visited many forums and see now that I am far from alone. Does anyone know how I can get my data? Sandisk is offering free replacements but that won't get my memories back! Sorry...one more thing...we LOVE the GoPro and want to keep using it but this is a HUGE setback...HELP!!! Not sure whether you've already tried these, but might be worth looking at: SanDisk RescuePro and PhotoRec. Here are some other options. Thanks for the tip on PhotoRec. I have a two year old Sandisk Extreme Ultra that's started giving me problems and the first time it did the "needs to be formatted" thing, I tried a couple of other recovery programs that only kind of worked. One recovered the files but none of them were readable, took hours to run too. Waste of time. Formatted the card and used it a few more weeks then it did it to me again. This time I used PhotoRec as you suggested and it worked! Recovered all the files and they're all intact. Think it's time to retire that card, though. Glad it worked. It's my go-to for this kind of thing. It's not as user friendly as it could be, but it works really well. I do not wish to spend more on the Extreme Pro as it cost a bomb here in my country. Yes, it works well. The 60Mb/s is megabits per second, whereas the card is measured at 45MB/s (megabytes per second). And even after conversion it's not a direction comparison because the card speed rating applies to small files written sequentially, and large files written in random blocks is much slower. The chart of video modes and data out I've added to this page should help. Bottom line is the Extreme 45MB/s works well in all video modes on both HERO4 editions. I bought a Lexar 128 GB high performance micro sd xc sport/mobile. Will this work in my GoPro Silver Hero4? I have a gopro hero 4 silver edition and I am using Sandisk Extreme Plus 64gb class 3 and there is problem with my gopro / it is getting troubleshooting and freezing after like 15 sec. Could it be my microsd card? I checked if it need software updates but it is getting automatic software updates. It's possible, but it could be something else too. Unfortunately it's hard to diagnose remotely. If you don't have another card handy to test, GoPro Support is your best bet. They're pretty responsive. the same problem! wtf. I don't know what to do!?! All .. I have had GoPro support recently state that the GoPro cameras officially DO NOT support U3 bus speeds and only support U1. My original GoPro Hero 4 Silver worked fine with a SanDisk Extreme 64GB U3 card but two more recent Silver's are freezing when plugging into a PC USB port. Need to pull the battery to reset the cameras. So be very cautious in recommending U3 bus speed cards. I just want an Advice, Im thinking in buy the "SanDisk 32GB Extreme U3 Micro SDHC Upto 60MB/s Read - 40MB/s write"....do u think it is a good option for my GoPro Hero4? That's the new version of the one on GoPro's official list. I've been testing it on a HERO4 Black and haven't run into any problems. I purchased a the Lexar 633x 64GB MICROSDXC for my kid's GoPro Hero Silver 4. Both the card and the camera are brand new, just out of the box. Got the "SD Card Error" and it would not format on the GoPro. The card would not format and trying to take a pic on the GoPro resulted in "SD Card Error." I could see the the card on my laptop (did not try to R/W) while looking at it on the laptop; and when looking at the card's properties, it claimed to have the bulk of the memory space available. Are we looking an SD card problem or a glitchy GoPro camera? We're out in the boonies, so getting a replacement SD card will take several days. Thank you SO much for this post David! I was starting to tear my hair out trying to understand all the techy stuff when I just wanted a good memory card that worked so I could start using my new Christmas pressie! Have ordered a couple of the 32GB Sandisk ones you recommended (from a reputable ebayer) and should get them the day before we head off to New Zealand on holidays! I'm having problems with my Hero4 Silver locking up. I've updated the camera with newest version and still get lock ups. I have a Sandisk Ultra Plus 64GB that the salesman at Best Buy said would work. I also have a Sandisk Extreme 16GB that came as a bundle. I didn't see this two cards on the recommended list. Could these be the problem with my camera locking up? I can't say it's definitely the cards, but they would seem to be prime suspects. The Ultra Plus is likely too slow for the high end video modes of the HERO4 Silver and Black. Sandisk doesn't publish a write speed for it, but independent benchmarking that others have done seems to indicate that it's somewhere around 10MB/s to 15Mb/s. The 16gb Extreme is faster, although the 16gb version has a slower write speed (30MB/s) than any of the other cards in the Extreme range (45MB/s or 40MB/s for the 32gb and 64gb cards). I'm not sure how to diagnose it further without trying one of the recommended cards to confirm one way or another whether it's the cards. Thanks David! I will get one of the recommended cards and go from there. David, I purchased a Sandisk Extreme 32GB microSDHC card. It seems to be doing the same thing. Everything seemed to work until about 5 minutes. I can't get the camera to work with the wifi on. That was as not an issue before. Any assistance will be greatly appreciated. I'd be surprised if the wifi is causing any slowdown in writing to the card. Mind if I ask whether you're using the Black or Silver, which video mode, and whether it's the new or old Extreme? I can then try to see if I can replicate the issue. I have the Silver. I purchased it today. It's speed is 45 MB/s 300X. The wifi starting working with the camera on after a while. It freezes up while using the touch pad and trying to record. The video is the regular video mode. SanDiskExtreme Plus cards. does anyone know what the difference is between the two is? They have to do with size. SDHC (high capacity) refers to cards up to 32GB. SDXC (eXtended-Capacity) refers to cards 64GB and up. It doesn't refer to speed. You'll find all the 16GB and 32GB cards are SDHC while all the 64GB and larger ones are SDXC. why does hero 4 black in new, un-opened box come without memory card? None of them come with a card as standard, unfortunately. Some retailers package a camera with a card as a kit, but the camera itself doesn't come with one. The price of the camera package would be higher, and you can always find a better deal on a card than what the camera manufacturer could give you. By not including the card, you can choose which card you want to buy and how much you want to spend. If they packed one in and you didn't like it, or wanted a bigger one, or a smaller one, etc then people would complain, too. What about the gopro hero 4 black with Lexar High-Performance MicroSDXC 633x 64GB UHS-I Flash Memory Card LSDMI64GBBNL633R? do you recommend it? There is no mention of the difference between the UHS 1 and the more recent spec of UHS 3. The latest version of the "Extreme" SDmicro cards from Sandisk are the higher spec of UHS 3 - with read speed up to 60 mbs, but write speed of 40 mbs being slightly slower than the previous UHS 1 model (read/write of 45/45mbs). Is UHS 3 really better or even necessary? Is the write speed of 40 mbs enough for 4k video on the Hero 4 black? It gets marketed by Sandisk as the best for 4k, but their marketing and website is confusing. I don't want to buy a "Pro" or "Plus" card, as they cost more & are less easily available for me. Good questions. This page might help. Does the Sandisk extreme pro 64 gb heat up when used with the gopro hero 4 black? Please help David, I think I may have the wrong cards. I went with what I thought was recommended on the Gopro site for my new Hero 4 Black. I have a SanDisk Extreme SDSDQXL-064G-QA4A (purchased in New Zealand) but it lists read speed up to 60MB/s and write speed up to 40MB/s. I also have a SanDisk Extreme SDSDQXL-032G-A46A (purchased in US) lists read/write up to 45MB/s both. I think I should have searched further for Extreme Plus cards but they were all sold out after Black Friday sales. I have not tried to use either one yet. What do you think? Will that 64GB card only be useful for less than max res shooting? Thanks for sharing your knowledge! Yes, the confusion is the result of Sandisk rebranding their Extreme cards. The one you have should work just fine. On paper, it's specs should be more than enough to handle the data stream from a GoPro HERO4 Black even at the highest video settings. I've not had any reports of problems. But as you say, it's not the actual one that's on GoPro's official list and has a slightly slower write speed. Yes, the PLUS will work well. Sandisk is making it unnecessarily confusing by rebranding their cards while recycling the model names. The regular Extreme (45MB/s read and write) works very well, and is in fact on GoPro's official recommendations list. But the 45MB/s is technically the old model, although it's still available in many places. The new model of the regular Extreme has slightly faster read speed and slightly slower write speed. More than likely it works just fine--I've not had any reports of problems with it--but it's not the version GoPro officially recommends. What about the Delkin 660x card Class 10 UHS-3 99MB cards.. ??? Based on specs (write speed up to 50MB/s) it should be plenty fast enough, and Delkin makes good memory cards. But I haven't personally tested it. How about the Gopro Hero (the new, cheap one)? Gopro recommends Sandisk Extreme, but will Sandisk Ultra be good enough? And how about the Samsung Evo micro SDHC UHS-1? Thanks! Having been burned with the Ultra series before I personally tend to steer clear of them, but with the lower video modes of the Hero it should be fine. I haven't tried the Samsung. Will the SanDisk Extreme PRO 16GB work? Yes. You just won't have as much space for storing hi-res capture. Hi david, will the Samsung - 32GB microSD Class 10 UHS-1 Memory Card work on the gopro hero 4 silver? Same question from me because now I'm REALLY CONFUSED! I was just about to buy an eBay 32gb Class 10 for the new Silver 4 I purchased today. HELP!!!! Do I really need need 'Pro'? or 'Ultra' ? or 'Extreme'? or WHAT??? I just wanna use my new GoPro Silver 4 PLEASE!!! To play it safe, I would recommend sticking with the ones that GoPro recommends. So either the SanDisk Extreme or Lexar 633x. A cheaper card on eBay might work, but it might not too. For a more affordable option, what about the Samsung PRO 32g UHS-1, 70 Read -20 Write. On eBay AU$25.95. 'Phone and tablet usage' but no mention of cameras in the listing. Risky? or useless? The Samsung Pro cards are usually pretty good and, going on specs, the latest model should be plenty fast enough. That said, I haven't tried one in a HERO4. Will the SanDisk Extreme PRO 64GB work? I am buying it for the 4 black edition. I noticed it wasnt on their list but has very good specs. Yes, it should be fine. I've used that card without any issues. and , yes, the SanDisk Extreme PRO 64GB will work just fine. That's what I am using. I'm a little puzzled. When I look up the specs on the Lexar cards, they're only rated for 20 MB/s write. How is it these have made the cut for the Hero4? Gopro themselves recommends them too. Is there another factor beside MB/s involved? Where did you see the rating for 20 MB/s? The numbers I've seen elsewhere are around 47 MB/s, although I've not seen a write speed figure officially provided by Lexar. Hi David, if you go to the Best Buy page and compare products you will see on the specs for the 633x "Max. Write Speed" of 20 MB/s. Will sandisk extreme plus work on gopro hero4?thanks! It's not on GoPro's official list but it's been working well for me. Blurry images shouldn't be anything to do with the memory card. If the lens (and lens cover on housing) are clean and clear and it's affecting all video and images, it may be something like a misaligned lens focus (which would require a replacement or repair). Also worth checking that the video quality modes haven't accidentally been set to something very low like WVGA. 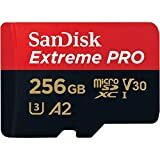 Hello David, what about SanDisk's new microSD card 'Extreme Pro' with much better specs than their 'Plus' cards and similar specs to the Lexar that GoPro recommends, what do you think ? SanDisk says is top of the line but I'm not sure that it would work at full capacity on my GoPro4 silver. From my experience it works well. As you say, its specs exceed the Plus range. The only downside is that it's a bit more expensive.